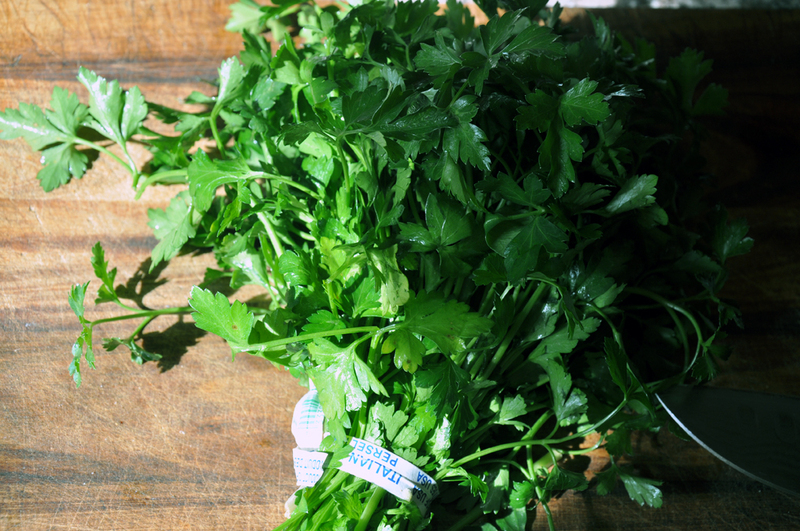 Just your everyday parsley, but I loved the way the sun coming in the window struck one side. 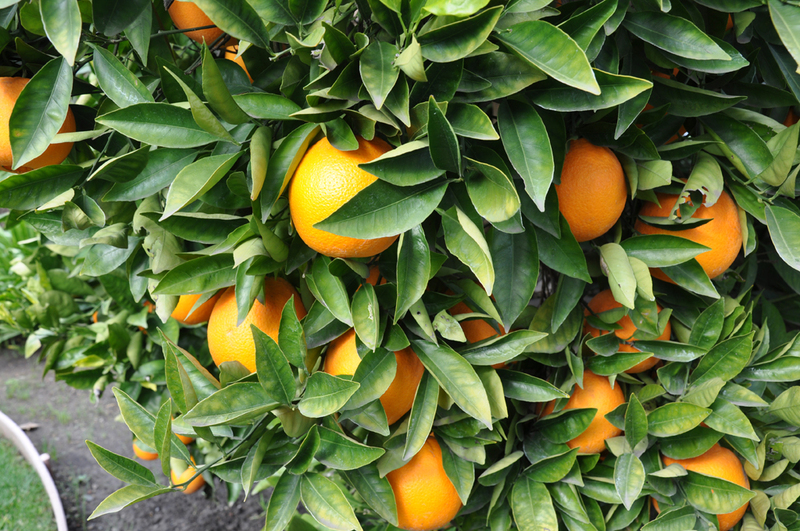 Yup, orange bushes are landscaping here in Napa Valley, CA where food just falls off the trees! We have rain! 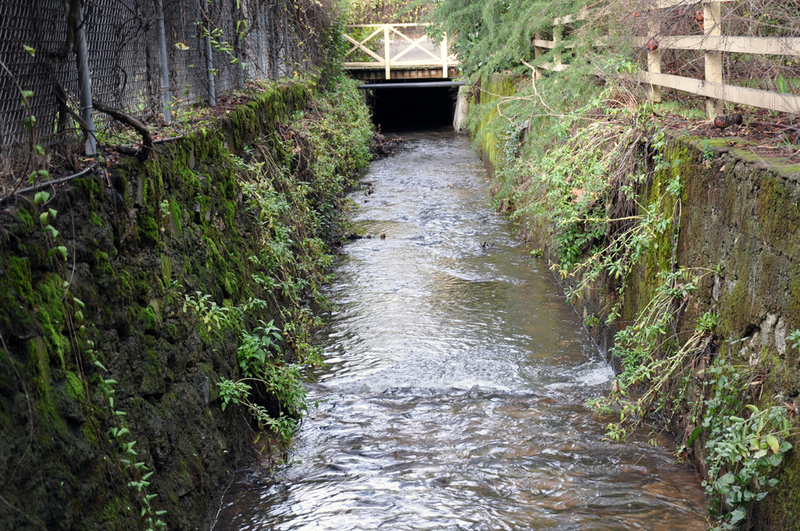 And this beautiful stream as a result...located just off Main Street in my hometown of St. Helena, CA. On a sheet pan, toss brussel sprouts with 1 1/2 Tbsp EVOO and lay out in a single layer. Cut the top 1/4" from the garlic head, put on a sheet of foil, and pour remaining 1/2 Tbsp EVOO over top. Sprinkle 1 tsp salt over both the sprouts and garlic. Wrap up the garlic and set it on the sheet with the sprouts. Roast 30 minutes, and then remove and let cool. Cook the pasta in salted, boiling water for 8 minutes. Drain, spray with cooking spray and place in the fridge to cool. In a small bowl, whisk together the yogurt, honey, vinegar, mustard, lemon zest and red pepper flakes. Set aside. To assemble, toss the cooled pasta, yogurt dressing, goat cheese, pecans and parsley together in a large bowl. Roughly chop the brussel sprouts and add to the bowl. Finally, squeeze out the roasted garlic and either add as is or roughly chop and then add. Toss the pasta salad again one last time. Eat immediately, or refrigerate a day or two to improve the flavors. 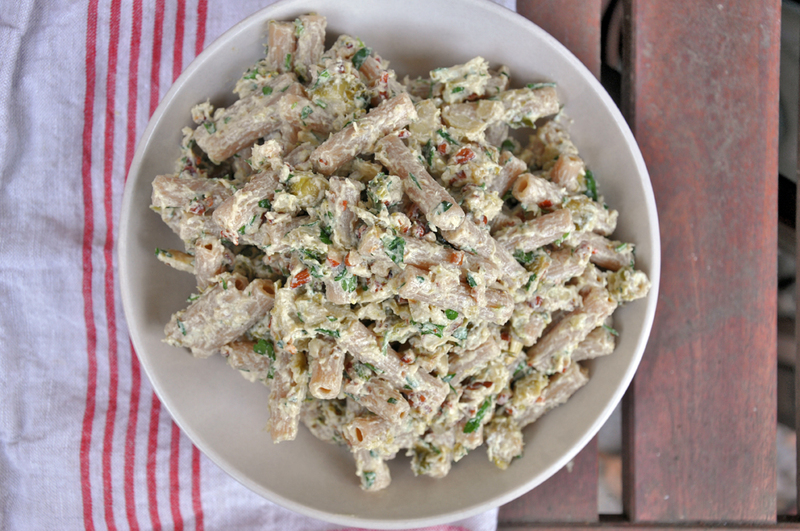 I love pasta salad and this looks like a great one! Thanks!